Explaining Amplicare's complex plan and subsidy detection tool. Figuring out a patient's current plan and/or subsidy can often be tricky. Amplicare has developed an algorithm to be able to automatically detect some of the plans and subsidies for you! Medicare Part D plans only have one unique identification number; the CMS Contract ID. This number will be formatted like "S1234-123." 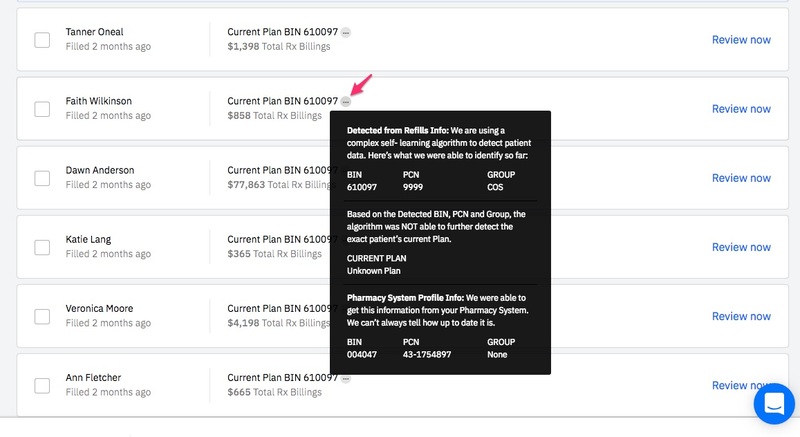 However, pharmacy systems and insurance claims use BIN, PCN, and/or Group numbers to identify and bill plans. Given the complexity of the combination of those three numbers, it is often difficult to identify a plan with them. However, Amplicare is able to identify some plans for you through our Machine Learning technology. Throughout Amplicare, you will see Current Plan information. When you see this, hover your mouse over the grey circle to the right. This will provide you with the data that we have based this information off of. If our system has enough information to confidently identify a specific plan, you will see it named in the middle. It is good practice to double check a patient's current plan before ever completing an enrollment. 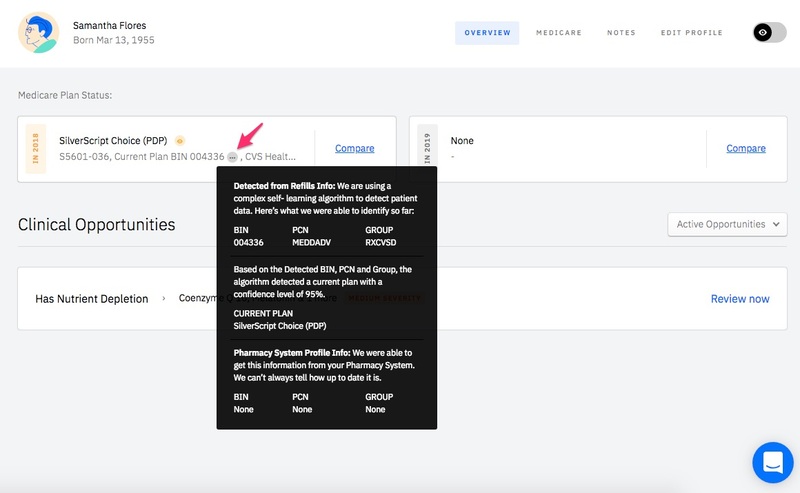 You can select or confirm a patient's current plan in the Edit Profile tab for each patient. When Amplicare's algorithm detects a plan or subsidy, you'll see "Review" next to the Current Plan and Subsidy options in this tab. Simply select CONFIRM PLAN when a plan has been correctly detected or Choose Plan to select the appropriate plan. Always make sure to confirm a patient's plan information before doing plan comparisons. Patients that are dual eligible receive a subsidy for their Medicare Part D plans. Amplicare’s Machine Learning technology can help automatically detect some of these subsidies for you! 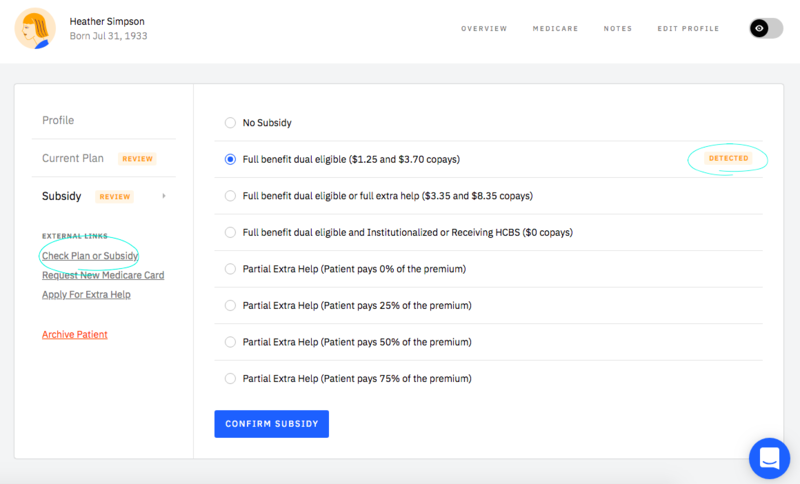 It is good practice to double check your patients subsidies by either confirming that they pay the standard copays associated with the subsidy or by using the Check Plan or Subsidy link in the Edit Profile page. Don't forget to click CONFIRM SUBSIDY once you're sure! Learn more about the different Medicare Part D plans here, and check out this article on Best Practices for Plan Comparisons for Dual Eligible patients.